Sistema Venture Capital started operating in April in Moscow. 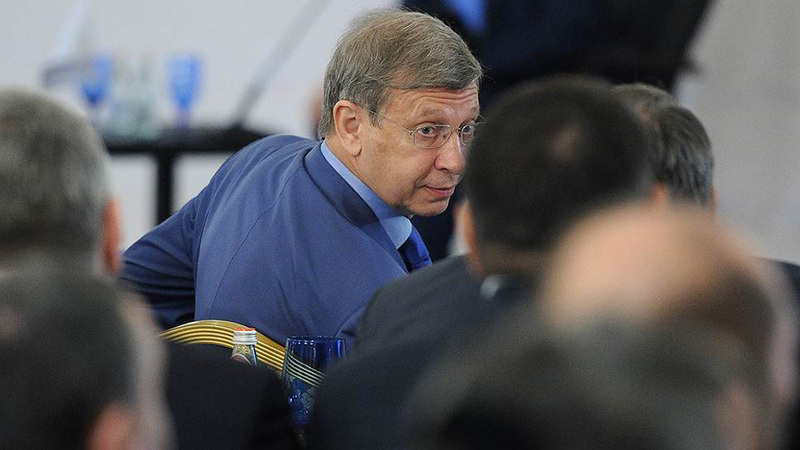 Pictured: Vladimir Yevtushenkov, the head of AFK Sistema. Kaspersky Lab and Gazprom-Media Holdings are among those setting up venture funds for early-stage startups in Russia and CIS countries. Since the beginning of this year, at least six corporate venture funds have been launched or started operations in Russia. Four of them were created by AFK Sistema, a Russian, LSE-listed conglomerate. Sistema Venture Capital, the most recent one, started operating in April in Moscow. It has raised 10 billion rubles (approximately $154 million at the current exchange rate) to support globally-oriented early-stage startups from Russia and neighboring countries. Sistema Venture Capital will invest in platform solutions and marketplaces, as well as projects in the fields of “communitainment,” Internet-of-Things, advertising and finance. The fund’s shareholders – apart from AFK Sistema – have remained unnamed. The fund expects to close soon its first deal – a capital injection in Erfid, a Russian developer of RFID software solutions. “Now is the right time to invest in internet companies. Despite the crisis, there are still many strong teams offering products with global potential in Russia and CIS countries,” said Alexei Katkov, president at Sistema Venture Capital. “Meanwhile, following the ruble’s depreciation, the price for development services has fallen,” he added in the exchange with the Kommersant business daily. In April, AFK Sistema announced another corporate venture initiative in association with Rusnano, Russia’s national nanotech investment corporation. The joint fund will amount to at least $80 million to support high-tech projects, as reported by RBK Daily. The fund’s strategy has yet to be specified, but the first deals could be closed this year. Just weeks before, AFK Sistema launched a $50-million Asia fund to support Indian startups operating in the technology and niche consumer retail segments. The Russian conglomerate was also reported to be in the process of creating a venture fund in partnership with China’s TUS Holdings. This fund’s capital will not exceed $100 million at start, with the Chinese side contributing 70 percent of this amount. For its part, Kaspersky Lab has announced that it will start investing in seed-stage startups globally by the end of the year. Each project may receive anything from $50,000 to $1 million. Kaspersky will target startups in such areas as mobile and cloud security, Internet-of-Things, physical security, machine behavior and adaptive cybersecurity technology. In addition to funding, the startups will benefit from access to Kaspersky Lab’s technology and expertise. Moreover, the investor said it will help young entrepreneurs expand to the global market. Last but not least, Gazprom-Media Holding, the leading diversified media holding in Russia and Eastern Europe affiliated with gas giant Gazprom, has announced the launch of its own corporate fund. Christened “Gazprom Media Ventures,” the fund expects to close its first deals by the end of the year. It will trade marketing campaigns for a share of the generated revenues (“media for revenue share”) or a stake in the company (“media for equity”). It will target e-commerce and other technological companies. Among other recent initiatives on the Russian corporate venturing scene have been Ikea’s startup accelerator, launched last year, and Accor Hotels’ hackathon, held last month in Moscow. In December 2015 GenerationS, a competition organized by the state-owned fund of funds RVC, ended with 35 startups receiving investments from more than 150 of the project’s partners. These included foreign and Russian companies such as SAP, IBM, Samsung, Microsoft, Johnson&Johnson, Sberbank-Technology, NPO Saturn, and others.